Hyundai has revealed first details of the i40 - the replacement for the dated Sonata - which will make its world premiere at the 2011 Geneva Motor Show in March. Promising to blend a high quality finish with good value for money and high equipment levels, the new i40 will be launched in estate form, with a saloon version following later in the year. The i40 arrives as the company embarks on the next phase of its brand and product evolution in Europe. Hyundai is hoping the newcomer will further shift European consumer perception of Hyundai to a more aspirational position, thanks to the vehicle's dynamic design and class-leading quality, performance and technical features. Designed at Hyundai's European research and development facilities in Rüsselsheim, Germany, the new i40 is the company's first D-segment model (similar in size to a Ford Mondeo or Vauxhall Insignia) to be specifically developed for the European market. The car will progress the ‘fluidic sculpture' design language, featuring the company's signature hexagonal front grille and rakish lines which give the i40 a dynamic, sporty appearance. The new i40 will also become Hyundai's most innovative model on sale in Europe, including the latest environmental technologies developed under the company's Blue Drive eco-program, and an engine line-up which boasts best-in-class performance and fuel economy, plus very low CO2 emissions. The i40 will also benefit from industry leading Five Year Triple Care package that includes a five-year unlimited millage warranty, five years' roadside assistance and five years of vehicle health checks. 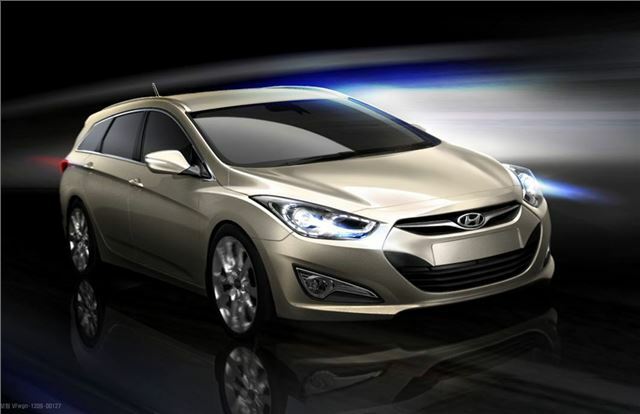 More details on i40 will be available nearer the time of its motor show world premiere in Geneva in March 2011.